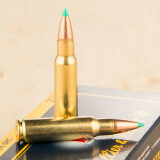 6.8mm Remington SPC ammo is designed to excel at urban combat with close range performance superior to that of the default 5.56 NATO chambering. The "SPC" in the name stands for "Special Purpose Cartridge". Bullets fired by 6.8mm SPC cartridges are relatively heavy at 115-120 grains and produce a muzzle velocity of 2,510 feet per second. A lot of shooters who buy 6.8 SPC are firing an AR-15 rifle that has been converted to this caliber simply by swapping upper receivers and magazines. 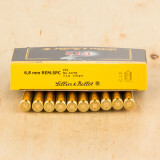 You'll find 6.8 SPC ammunition for sale here that is produced by many American manufacturers including Federal, Remington, and Hornady as well as the Czech company Sellier & Bellot. 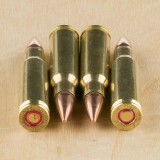 Soft point bullets (notably Federal's Fusion hunting series) are available in addition to FMJs for range use. Czech ammunition producer Sellier & Bellot offers a polymer-tipped load designed for taking deer and other game and many hunters have relied on the 6.8 cartridge successfully for years. The 6.8 Remington SPC is a newer round, invented by Remington and the United States Army in the early 2000's to bring the AR-15 and rifles like it the energy and efficacy of the 30 caliber while retaining much of the speed and light weight that the conventional rounds have. With these new rounds, you have longer range, better accuracy and trajectory, and much more power, making it phenomenal for match shooting, self defense, and hunting. Remington has been around for two whole centuries, making it the oldest and most respected firearms and ammunition manufacturer in America. 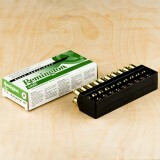 These metal cased, 115 grain, brass cased, boxer primed rounds from Remington UMC give you everything you need for range training. 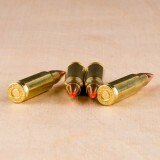 Accurate, reliable, and firing at 2625 feet per second, you will be staying at the range shooting this round for ages. Developed out of a coalition of Remington and the United States Army, the 6.8mm Remington SPC is designed to give the AR-15 platform the incredible performance of the 30 caliber due to the measly performance of the normal rounds used in the AR-15. With the 6.8mm Remington SPC, you get better range, much more energy, and higher efficacy, making these newer rounds phenomenal for hunting, self defense, and competing in shooting competitions. For two hundred years, Remington has been one of the best and most respected firearms and ammunition manufacturers in the United States. With ammo from America's oldest guns and ammo manufacturer, you have all the reliability and accuracy you need. These 115 grain, metal cased, boxer primed, brass cased rounds fire at 2625 feet per second, designed specifically for all your range training needs. In the years since its founding, Sellier and Bellot have dedicated their company to providing the best, most innovative ammunition they can. Their quality control team works arduously to assure their bullets are manufactured to the proper specifications before they ship out their ammo to hunters, law enforcement officers, competition shooters, and military armories. 6.8 Remington SPC was developed as a coalition between the US Army and Remington to create a 30 caliber round with features of both their current 5.56mm round and the popular 7.62mm round. They succeeded in creating a round that flies farther and straighter than the 5.56mm. 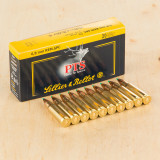 If you are looking to do some tactical hunting or some range training, these polymer tipped spitzer rounds are just right for you. Designed by a coalition of America's oldest ammunition and firearms manufacturer, Remington, and the United States Army, the 6.8mm Remington SPC was developed in order to combine the power and efficacy of the 30 caliber with the speed and light weight of the 223 Rem and 5.56mm. With this new round, you have better range, phenomenal trajectory, incredible power, and amazing accuracy, giving you everything you need for hunting, competing in a shooting match, defending your family, and practicing at the range. Hornady has been around since the end of the Second World War, crafting some of the most effective and innovative ammunition the world has seen in years. 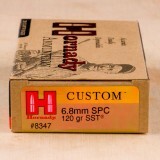 With these Hornady Custom, 120 grain, SST, brass cased, boxer primed rounds, firing at 2460 feet per second, you have the fantastic expansion, incredible accuracy, and phenomenal trajectory you need to defend yourself from any situation that might arise. Sellier and Bellot's mission is to provide the best ammunition possible for hunting, law enforcement, military, range training, and match shooting. Their quality control team insures that their bullets are designed with the appropriate structure, whether it be fragmentation, expansion, or a solid bullet. 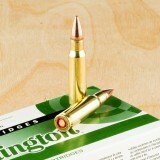 With this state of the art ammo in your gun, you will not be disappointed. The 6.8 Remington SPC was developed as a coalition of Remington and the U.S. Army Marksmanship Unit, United States Special Operations Command. Why was this done? The US Army was experimenting to see if they wanted to replace their current 5.56mm round with a 30 caliber round with features similar to both the 7.62mm and the 5.56mm. Is this round effective? You bet. 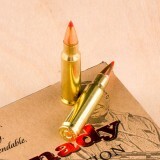 Able to travel farther and flatter than the 5.56mm, this round is a great innovation. 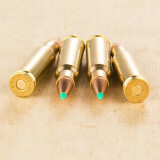 If you are looking at doing some range training or deer hunting with your tactical rifle, these polymer tipped spitzer rounds are perfect for you. 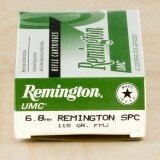 The 6.8 Remington SPC was developed out of a collaboration between Remington and the United States Army as an effort to produce a new round with much of the speed the light weight of the 5.56mm and that can be used in the AR-15 and other rifles like, while giving it the energy and efficacy of the 30 caliber. The result was an amazing round, perfect for military use, as well as self defense, hunting, range training, and competing in matches. Hornady has been around ever since the end of World War Two, crafting some of the most innovative and effective firearms in the world. 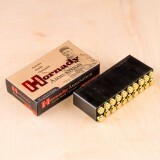 With these Hornady Custom, 120 grain, SST, brass cased, boxer primed rounds, firing at 2460 feet per second, you have perfect expansion, amazing accuracy, and hard hitting power you need for a highly effective, self defense or hunting rounds.